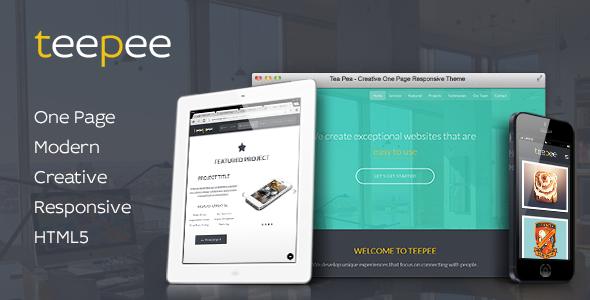 Teepee is a creative and responsive HTML5 template that has been created for various businesses. Creative agencies, startups, and freelancers can all use this theme to effectively connect with their audience. The template comes complete with the latest responsive sliders/carousels, smooth scrolling, CSS3 Animations, MailChimp integration, and Isotope Portfolio filtering. It also incorporates the latest in web design trends. Item Reviewed: Teepee - Modern, Creative & Responsive Bootstrap Theme 9 out of 10 based on 10 ratings. 9 user reviews.